Teacher’s Comments: Surreal. It’s how I imagine Augusta must be. 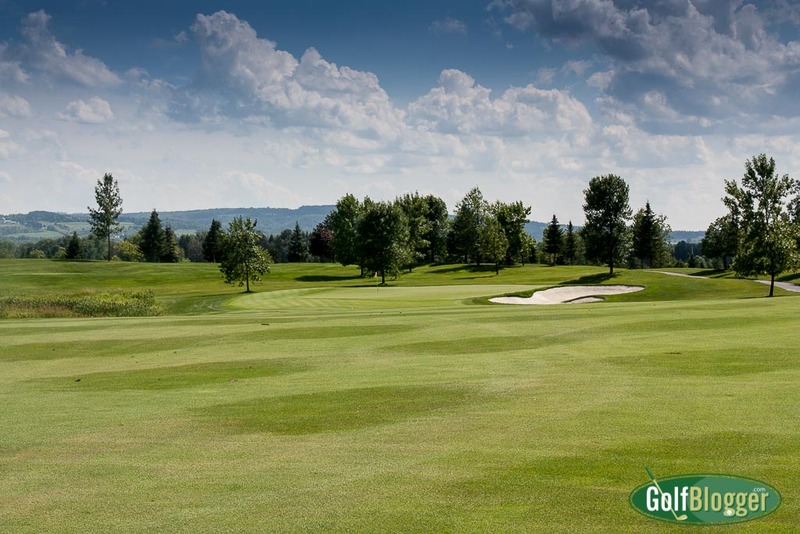 Atunyote is a parklands style golf course that deserves the accolades it has received as one of the best public facilities in the United States. Atunyote currently stands at 55 on Golf Digest’s Top 100 Public Courses list and is number 64 on Golf Magazine’s list. 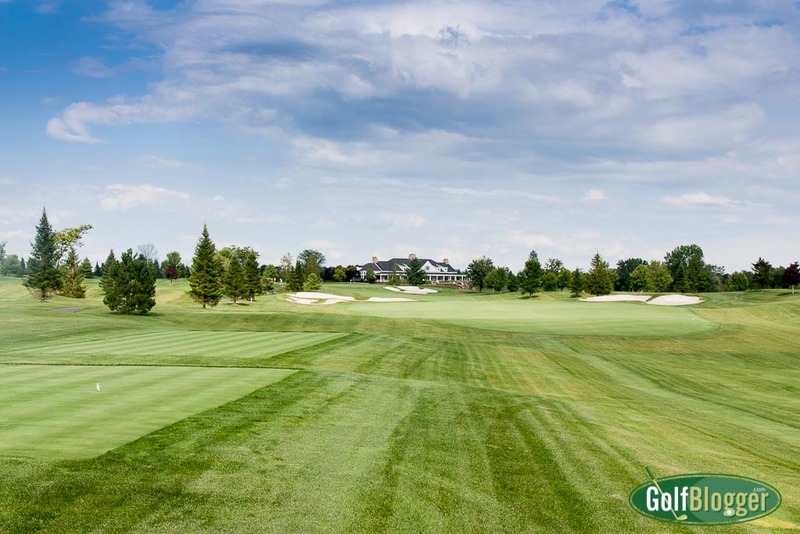 Designed by Tom Fazio, Atunyote was the site of the PGA Tour’s Turning Stone Championship from 2007 to 2010. (On a side note, this is the third PGA Tour venue I have played. The others were Colonial and Torrey Pines). 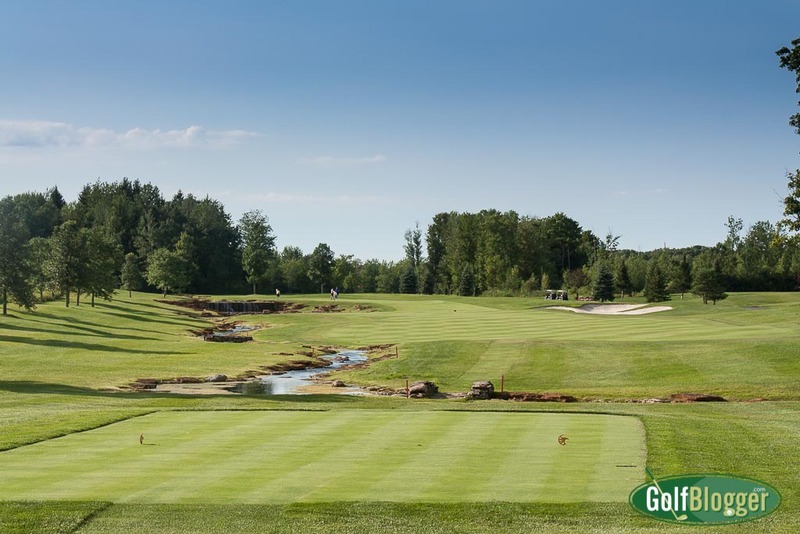 Atunyote is one of three 18 hole courses at the Oneida Nation’s Turning Stone Resort and Casino. A view of the Approach shot at Atunyote’s fourth. Fazio’s design is relatively straightforward. What you see is, for the most part, what you get. Strategy and lines are fairly clear to the thinking golfer from the tee and there are no hidden surprises. Atunyote’s fairways are wide but undulating. Fairways curved gracefully left and right, but there were only a handful that could really be described as doglegs. While there were few club-shifting elevation changes, the entire course was constructed on gently rolling terrain. Some sixty bunkers dot the course, but aside from the greenside hazards, few pose a real threat to a player who plans appropriately (emphasis on planning). Aside from the par threes, none of the holes require a threatening carry. In all, it’s a generally friendly course. I can’t imagine anyone cursing Fazio’s name during a round. The difficulty really lies in its length. Stretching to 7.315 from the tips and playing a strong 6,561 even from the whites, Atunyote asks for consistently strong shots from tee to green. The back tees play to a 75.8/143; The middle, 71.7/134. My favorite hole was the 385 yard par 4 fourteenth (351 from the middle). Playing uphill, it has a creek along the entire left side, and a bunker at 250 out on the right. The green is set on a plateau behind a rocky waterfall. A well played tee shot heads left just short of the bunker, which then offers a clear shot into the green, avoiding the need to lob a shot in over the waterfall. My tee shot was not well played, though. The ball leaked left, putting me near a rock by the creek. I had to play out right, then pitch up to the green. Another great hole was the 468 yard par 4 ninth (418 from the middle). The tee shot forces a player to squeeze between bunkers left and right. From there, it’s an uphill shot to a plateaued green. What makes the hole interesting is that Fazio’s design makes it look longer than it really is. Turning Stone pro Robert Todd, with whom I was playing, told us to avoid looking at the card or sign as we approached the tee. He then had us guess whether the ninth was a par four, or a five. I guessed correctly, because it was clear to me that there was just a single landing zone; a par five would have had two target areas. The two other players in the group thought it was a par five. Conditions on the day I played were as fine as any course I have ever played. That’s a large part of what makes Atunyote so special. From the first tee, I felt a vibe, a sense that I was playing at a highly exclusive club. Atunyote is a pretty course, with lots of attention paid to details such as flower beds, cart paths and undergrowth. The care given this course is just amazing. Part of the reason that it is in such good shape is that — by design — Atunyote gets relatively little play. Atunyote also has one of the most spectacular practice areas I have ever seen. There’s a standard driving range, but there’s also an area that lets you practice shots from uneven lies and from a “fairway bunker.’ The short game area has stations for practicing from various distances. It was simply amazing. Pay attention to the tee signs and yardage book as you play. Each hole is named for a native bird species, and a short description of its habits and habitat are provided. The eighteenth is the Bald Eagle, or Atunyote in the Oneida language. There was just something magical, surreal, otherworldly, about Atunyote that I’ve felt on few other courses — Forest Dunes, perhaps, or Arcadia Bluffs. I don’t know how to explain it. But it’s something that I would love to feel again. Atunyote is part of the Turning Stone Resort and Casino, a terrific entertainment complex located just north of Syracuse, New York. It is one of three eighteen hole courses on the property. 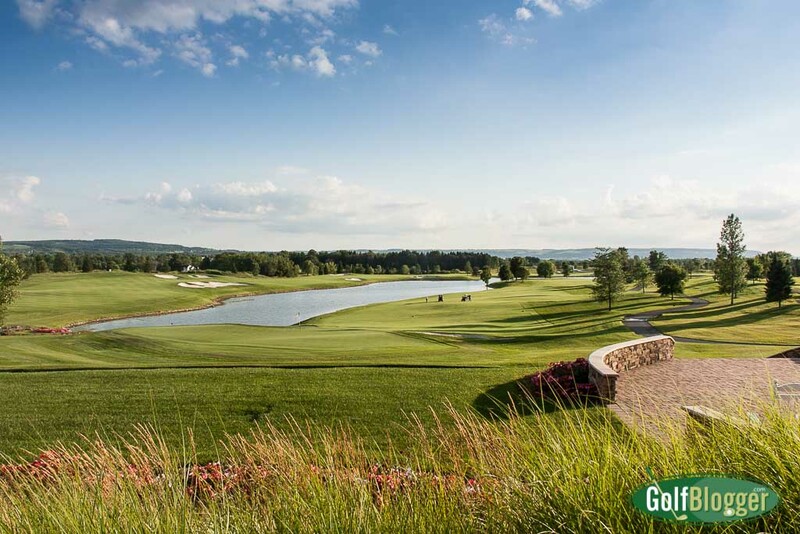 Two of the courses, Kaluhyat and Shenendoah are directly adjacent to the casino. Atunyote is a short ride away. The resort has eleven restaurants, twelve nightlife and lounge spots, three spas and fitness centers, and a theatre which brings in top talent. There are 268 rooms in the hotel and more in the adjacent “Lodge.” I stayed at the Lodge in a 550 square foot suite. Amazing. Of course, the Resort makes its money with gambling. I’ve never been to Las Vegas, so I can’t compare Turning Stone to that, but I can say that it is exponentially more impressive than other Indian casinos I’ve visited. 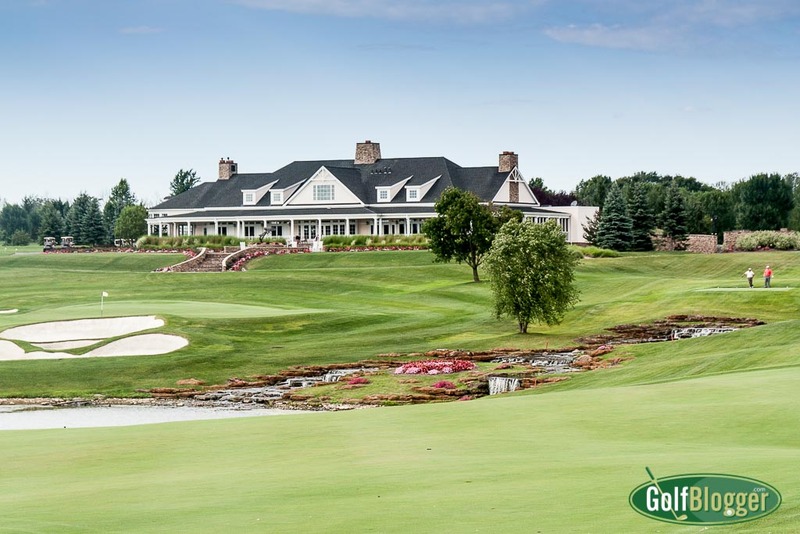 The Atunyote Golf Club review was first published August 18, 2015. The first At Atunyote is a 398 yard par 4. The approach shot for Atunyote's second hole. The third at Atunyote is a 198 yard par 3. Atunyote's fourth is a 414 yard par 4. A view of the Approach shot at Atunyote's fourth. The fifth at Atunyote is a 520 yard par five. A view of the green from the fairway on the 576 yard par 5. A view of the green from the fairway at Atunyote's par 4 thirteenth. A view of the fourteenth green from the fairway at Atunyote. The seventeenth at Atunyote is a 467 yard par 4. Hello admin first of all i would like to say thank you for this post. you posted really amazing article.Amazing work by Tom Fazio.